Through the early 1980's, Bob Haro had led the BMX Freestyle movement onto its path to global recognition, with a series of innovative and progressive new concepts. The company's transformation from that of a design focused frame and accessories brand, to full-scale bike manufacturer, had taken just two years and the result would deliver the most exciting Freestyle bikes of the era. The 1985 Haro Sport, Master and FST would become a statement of intent. New standards in geometry and promotion delivered a series of unique features that recognized the direction of the sport and the needs of the riders. The presentation of the new frames became a watershed moment for both Haro and the evolving Freestyle scene. The Freestyle bike was no longer confined to functionality and a series of bright neon paint and decal combinations offered riders the opportunity to customize and express themselves. The bike was a new means of expression; a language for a generation who were becoming more independent. And as the scene showcased the prodigious talent of a new breed of professional riders, Haro considered their options to promote the new range to maximum effect. 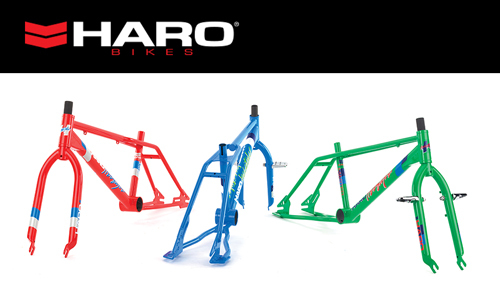 Three selected Team Haro riders; each with a unique riding style would become the face of the '85 Haro Freestyle range. Brian Blyther, known for his smooth and stylish aerial Skate Park expertise, would take ownership of the years all rounder; The Haro FST. Dave Nourie, a Flatland specialist with an array of original and unique moves would invent his signature Trick; "The Gumby", on a Neon Green Haro Master. 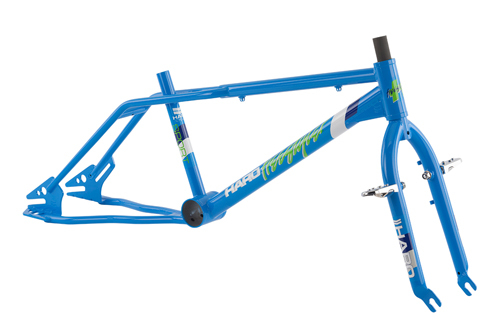 And Haro's Team Manager, and the years most decorated contest rider; Ron Wilkerson would "Own" the Blue Haro Sport. The 1985 Haro Freestyle range became a celebrated milestone in the Haro story; such was the impact of its relevance in the evolving scene. With a nod backwards to that magical year, and a show of our appreciation for the many thousands of BMX collectors, riders and BMX History enthusiasts around the world, Haro Bikes will re-issue a limited number of 30-year anniversary replica frames in the summer of 2015. See details below for the full specification. We thank you for your support.